Rita is a single mother of two children and 10 grandchildren. She fills in to pick up and drop off grandkids and to be there for them. Her journey has been hard, but she keeps smiling because she has God in her heart. Rita was living in her vehicle when Hands met her. Despite her situation, Rita continues to laugh and make jokes. The Pontiac Grand Am had a bad wobble while driving and was unsafe. One of our partner shops, Pickering’s Automotive, found that it needed steering system work, brakes, and new tires. Rita was able to address these important issues because of your generosity! 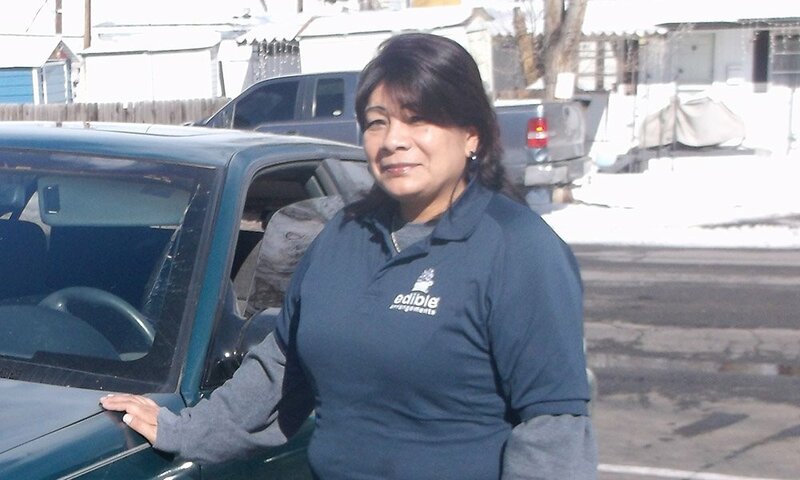 Rita is working and has maintained a job throughout her hardship. During our process of getting to know and serve Rita, she was able to find a place to live! Rita is a great example of the women we are serving together though Hands. With a safe and reliable vehicle, she is helping with the grandchildren again, getting to work and back on the road to self-sufficiency. She also saw proof of God’s love for her and her support from the Hands community.